Apple hired former Tesla Motors Vice President of Vehicle Engineering Chris Porritt last year to join its "special projects" group, possibly to spearhead its much-rumored electric vehicle project, according to Electrek. Porritt brings decades of experience in the European automotive industry with him to Apple, having worked on vehicle dynamics as a principal engineer at Land Rover between 1987 and 1997 before serving as chief engineer at Aston Martin until 2013. During his tenure at Aston Martin, Porritt played a significant role in designing the One-77 supercar, while he also led teams that worked on the similarly luxurious DB9 and V12 Vantage. He left the automaker to join Tesla three years ago. At Tesla, Porritt reportedly worked on the Model S and Model X, in addition to the chassis of the recently-announced Model 3. Porritt's role at Apple is unsurprisingly secretive, having been assigned the vague title of "Special Projects Group PD Administrator," but his automotive expertise suggests that he could have a senior role within the "Project Titan" team that is widely rumored to be working on the so-called "Apple Car" project. Following the recent news that alleged "Apple Car" project lead Steve Zadesky would be leaving Apple for personal reasons, Porritt's seniority would make him a strong candidate for a leadership role within the company's secretive automotive team. At least a few Apple engineers are already reporting to him internally, according to the report. It is publicly known that Apple and Tesla have been fighting over top employees, and recruiting talent away from each other's respective companies. Tesla CEO Elon Musk once called Apple the "Tesla Graveyard" where fired Tesla employees go to work. Musk has also referred to the "Apple Car" as an "open secret." Apple's purported automotive team is believed to include hundreds of employees that previously worked at A123 Systems, Autoliv, Concept Systems, Ford, General Motors, General Dynamics, Land Rover, Tesla Motors, Texas Instruments, and elsewhere. Apple Car R&D could be finalized in time for a 2019 or 2020 launch. to work on new Apple Watch straps. Looks like big score for Apple. All the cars he worked on look stellar. Looks like a man with mighty fine taste. Some beautiful cars he's worked on. Project Titan is the most excited I've been for an Apple rumour since the "Apple Phone". I hope I can look back in 25 years and view the original Teslas like I think of the early cell phones. Much better in theory than the landlines they replaced, but still lacking. 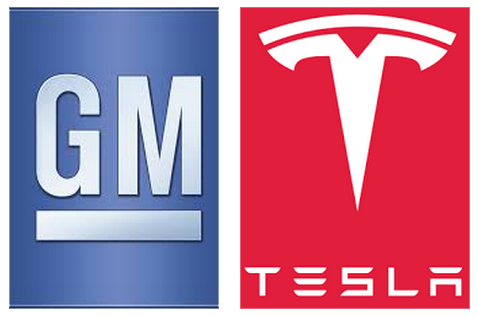 I'd like to see Apple build on the work Tesla, GM, Toyota etc. have done and come up with something I really want to own. Much like the iPhone built on the work Palm, Blackberry, Synbian and the rest did. I wonder if Apple plans on showing anything at all before people start configuring/committing to their Tesla Model 3's. If Apple is quick, people who have Model 3 deposits can still get them refunded and swap to Apple. That's what GM is banking on with the Bolt (but there's little evidence that anyone is actually doing that.) If the Model 3 remains on schedule, Tesla will start asking people to configure their cars and make the full payment in ~15 months. It seems to me that a large amount of the people who would be interested in an Apple Car if they knew anything about it will instead be purchasing the Tesla Model 3 and so be set for 5-10 years on the car front if Apple fails to say anything before then. Unless Apple is planning on doing some kind of car share program, where people don't need to make large commitments. But that would be very unique for Apple... up until Apple Music they always had the stance that people prefer to own things. Contrary to what Musk has said, it doesn't sound like Porritt is someone who would have been fired from Tesla, nor does it sound like his presence at Apple constitutes a "graveyard". Most buyers trade their cars every 3 years or so anyway. Having worked for 12 years in automotive sales I can say most people never pay their car off. There are those who keep them until they die, but most do not. I thought the average was five. Three years seems so short if you purchase a car. I pay my cars off ASAP so I'm not paying interest. He likes it so much he bought a new one after he crashed his first one. As well as being fast and powerful, Aston Martins are known for their innovative production methods. Their cars are built from unusual, lightweight materials like aluminum, magnesium and carbon fiber. The all-aluminum chassis is glued together rather than welded, which makes it incredibly strong and resistant to cracking. Jony would soon introduce similar production methods to Apple’s manufacturing arsenal. No Apple car will ever amount to the beauty that is the One-77 in that picture. Well thanks for settling that for us.